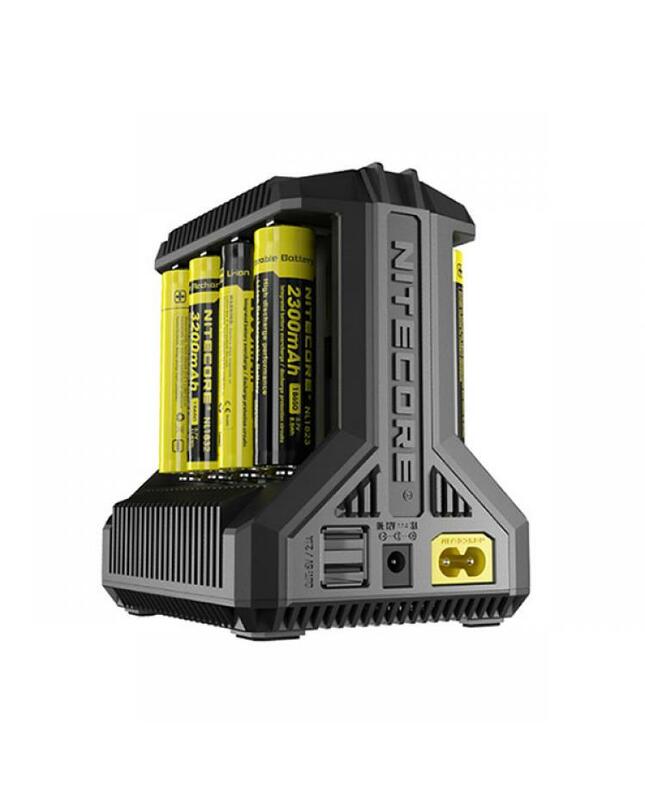 Newest Nitecore I8 intelligent battery charger, made of flame retardant and fire resistant PC materials, ensure the charge batteries safety and extend lifespan. this new battery charger has 8 slots, can charge max eight pieces batteries simultaneously, single slot max output current up to 1500mA, compatible with most of Li-ion and IMR batteries. the USB port allows it compatible with USB devices. the ACD technology allows the I8 to actively distribute its power among 8 slots in an orderly manner. simple operation and easy to use. the LED indicators will show the slots status, the red indicator shows charging in progress, the green indicator shows charging completely. the I8 charger will automatic detection on power level and selection of charging mode, the DV/DT function specifically for NI-MH and NI-CD batteries, which can detect the battery status and judge the timing to terminate charging. the reverse polarity protection and short circuit protection will keep the charging safe and reliable.